Many recommend the Hemingway app, which pushes simplicity and the lowest possible reading level. Where I live, an illiterate person is defined as any person who reads below a grade nine level. The Hemingway app would have us writing for the semi-literate. It encourages such by designating a grade 6 reading level as good. When I was a tutor, that would have been fine for the material we presented to the students, but it was not considered normal. I refuse to believe that polysyllabic words are evil. Simple words often lack precision, requiring more explanation of the scene to maintain even a fraction of the meaning intended. I love Hemingway and Blake, both who chose simplicity of diction and style to denote complex thoughts. I prefer Hugo and Tolstoy, Shelley, Byron and Tennyson, who were not afraid to describe something and were writing for an educated audience. When I began my novel, I was reading to my former student, so found myself choosing words based on his reading level. When he later told me he was not interested in my story, I realized I was free to write it as it ought to be written. I like precise words and will not dumb my novel down. Has the bar truly been lowered so much that we are now encouraged to write for the illiterate? My real question is, how to maintain clarity without losing precision? I'd reject the advice to write to a sixth grade level, unless you are writing for kids or young-adults. I've seen the stats on reading levels in the USA somewhere; they must be online. But as I recall, writing should be at about the 11th grade level. For one, in Hemingway's time, education levels were lower and reading was a much more widespread entertainment; that simply is not true in the modern world, which is where you sell books. The adult reading audience is better educated. The less educated adults prefer visual and/or audio entertainment; not reading. They are watching TV or movies or videos online; so you don't really need to appeal to them. They aren't your paying audience. Stephen King sells an average of 6 million copies per novel. That is a small percentage of the worldwide potential audience. There are 250M adults in the USA alone; suggesting the total audience is less than 2.4%, and likely less than 1% of the first-world adult population. For mostly one genre, admittedly, but you also have to admit that any given book is in mostly one genre. Frequent readers for entertainment is who you want to appeal to, and I'd guess their reading level is about 12th grade, just by exposure. As a professor myself, I do NOT think college increases vocabulary much anymore; other than specialized vocabulary for specific fields. There is much less emphasis for most majors on fundamental courses in the "liberal arts" vein; except for English and teaching majors. This is by necessity and for convenience; scientific advancement in nearly all other fields has increased the amount of material one must learn to be proficient, cutting down on the electives and cultural kinds of courses that require reading advanced materials. And technological advancements mean much less must be committed to memory, than was once the case. A large vocabulary isn't necessary if you can just ask your phone for a word definition. I certainly wouldn't want to make them look up words on every page, that would be interrupting their reading reverie. I'd be more willing to include an esoteric word in places where they could gather the meaning by inference, or just skip it. But I also don't write at a 6th grade level; when I have checked a page using a tool, it says I write at the 11-12th grade level, and my adult readers do not complain. Precision is not the opposite of simplicity or clarity. As you mentioned, Hemmingway is known for his amazing precision, for spending a long time on single sentences. I read The Old Man and The Sea in high school, but I could easily have read it four years earlier. I would have missed the symbolism, but I would have understood the literal events. The most precise English speakers I know have never lived in an English-speaking country. Because speaking English requires so much focus for them already, they spend a lot of energy choosing the most accurate word or group of words out of the set available to them. That said, you absolutely can use more educated words and still be clear. The key is to be precise. Lazy, imprecise writing is confusing and hard to follow. Having to look up a word in a dictionary may decrease clarity for the less literate reader somewhat, but the real bane of clarity is long, meandering sentences with incorrectly used words. If you describe the same drinking vessel as a glass, mug, and gobblet in the same scene, I will be very confused because each word conjures up a completely different image, not because gobblet is a word I learned later in life. TMuffin is a new contributor to this site. Take care in asking for clarification, commenting, and answering. Check out our Code of Conduct. There's a lot to unpack here, at least if someone like me tries to post an answer, because I only half-agree with aims such as those of the Hemingway app. Also, some of what you say brings in additional issues. the app pushes simplicity and the lowest possible reading level. Where I live, an illiterate person is defined as any person who reads below a grade nine level. The Hemingway app would have us writing for the semi-literate. Obviously, some people are writing for that audience. As April already noted, technical documents aimed at "normal" people definitely need to do this, if only because if you want 99.9% of your adult audience to understand, well... you have to write for a reading age of about 10 (or if 99%, 14). Novels for adults, on the other hand, can aim higher. Maybe not that much higher, though. If an average adult reading level is required, that's half your potential audience lost already (or possibly less if weaker readers never would have tried anyway). The only context I've found as a writer where I could get away with demanding more than the average was when I wrote my PhD thesis, but even there I was wisely advised to limit sentences' word count to 25. (Obviously, longer sentences are tolerable when the content is less demanding, but, well, see for youself what my sentences therein were about). That's not necessarily a bad thing, mind. A writer needs a second-order kind of precision, a precise control over how precise to be. The Old Man and the Sea opens, "He was an old man", not "He was a 67-year-old"; that would have been a worse alternative. I was reading to my former student, so found myself choosing words based on his reading level. When he later told me he was not interested in my story, I realized I was free to write it as it ought to be written. I can't say what issue your student had with your writing, but I bet he could have found something to like about it, or at least to admit didn't go wrong. The lesson to draw from this isn't that he would have liked more advanced writing at least as much. If you found another beta reader who would have found the story interesting, they might still have told you, "but the writing's too taxing". I will not dumb my novel down. Well, good for you. Bear in mind, however, that there's a difference between using words you have a right to expect readers to know (or at least tolerate) and this. Now, I'm not accusing you of planning on that approach, but you need to understand that "write like this, not that" advice is popularised based on the most common errors of newbies, and that is definitely one of them. "Gee," they think, "the novels we were forced to study in English were hard work, so I guess I'm supposed to write like that". Nor is it the only common mistake that boils down to authors doing unnecessary counterproductive work. That may be the wrong way to look at it. You have to understand there was a time not so long ago when "normal" people had appallingly low education levels. I'll discuss this next point from a British perspective, so mentally copy-paste your own country of interest's legal history here. Prior to the Elementary Education Act of 1870, almost half of children in England and Wales had no access to even primary school education; and an analogous expansion of secondary education as we understand the concept today took until well into the twentieth century, e.g. the school-leaving age became 14 with the Fisher Act of 1918 (this rose to 16 in 1973), and the post-11 ramp up to secondary-school material wasn't compulsory until the Butler Act of 1944. So when people like Hugo (died 1885), Tolstoy (died 1910), Shelley (died 1851), Byron (died 1824) and Tennyson (died 1892) were writing, it was not for those of the least ability, or of the least free time and disposable income. Now we do, and they've had easier stories to consume since films were invented. You can love or hate the Hemingway advice - amusingly enough, the app critiques his writing - but the problem you're describing is not new. And the ongoing push to promote children's literacy through giving them something "fun" to read "at their level" has created a cottage industry of such writers, one of whom might be you one day. Don't be ashamed if it happens! how to maintain clarity without losing precision? They're not in the least mutually exclusive, especially if you consider my point above about second-order precision. Some of the most surgical things you'll do as a writer will involve consciously circumscribing exactly what a reader is confident they do and don't know at a given stage, and whether they're right. But in terms of "first-order" precision, I can't recommend this book strongly enough, even if its stated focus is on non-fiction. Let me talk a little more about these automated attempts to compute reading levels. I've just copy-pasted a paragraph of mine into the Hemingway App and been told it's grade 10, but I know from prior experience other metrics can peg me at 5 or 6 instead, and you might be amused to see where speeches come in. I won't say they're meaningless, but the surest way to know whether your writing is too hard, too easy or just right is to ask another person. I wrote a novel last year about a genius. A beta reader told me the challenge wasn't in the vocabulary; it was in the sentence structure. That was what I had to fix in a few places. To be honest, that's usually the case; it's much harder to accidentally use overly demanding words. I'll leave you to review whether your sentence length is too high, or too monotonous, or whether the way your sentences end up long is counter-productive. If you can't find another person to quiz on this, a good trick is reading the sentence out loud. I swear you'll voluntarily decide to edit many sentences if you do that. There are certainly many audiences who might not have the literacy level (or education) to do well or want books written at a upper secondary school level or higher education level. Age is the obvious constraint but there are also groups of people who just got through high school (or not) and want to read fiction for pleasure but don't want to work too hard at it. Maybe that's not your audience. Either way is fine, just know who you're writing for. Or perhaps your primary audience is people who are reading your book but it's not written in their native language. They could be highly educated but still miss some things. You would write differently for them than you would for native speakers who don't have the education (even if their reading levels test out the same, they would have completely different constraints). If your audience is mostly college educated and you want to write a college level novel, that's a perfect fit. As long as you don't paint yourself into a corner and aim for an audience that is too small to meaningfully sell to, you're good. I'm writing at a 6th grade level because my novel is aimed at actual 6th graders. 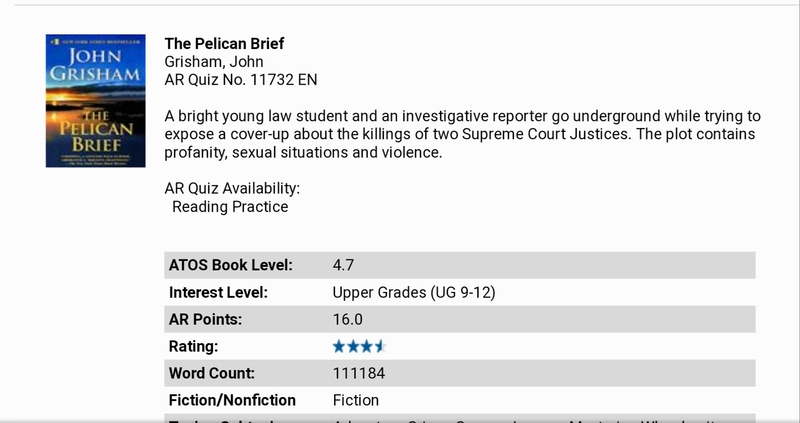 If anything, a 6th grade level story might be aiming a bit high (since it's more of a 3rd-7th grade level). When I write for adults, however, I'm like you; my audience is people who can read at a college level or higher. Lowering vocabulary levels and simplifying sentence structures can definitely affect precision, though you can usually still get to the same place. It's better for many people because otherwise they can't understand the work. It's not better or worse overall, because it depends on who you're writing for. I am reminded of a recent question about C.S. Lewis' and E.B. White's use of vocabulary. The answer I gave there touches on this question as well. One feature of the English vocabulary is that on top of the stock of words that have their root in Anglo-Saxon, English also has an extensive vocabulary that was derived from Latin and Greek words, especially for scientific and medical terms. There is a good bit of redundancy between the two groups. To draw on the example I used in answering the linked question, we can say that Jack needs a ride home, or we can say that Jack requires transportation to his residence. The first way of stating this does seem to be simpler, in that the words are shorter and more familiar, whereas the second phrasing is more complex, but is slightly more precise (in that it does not assume Jack needs any particular form of transportation). If we were writing a novel, the first way of stating Jack's plight would make a pretty good opening line, whereas the second way reads like something that belongs in a police report or a legal brief. But this effect does not come from the relative simplicity or precision of the two phrasings, but from something else. Because the borrowings from Greek and Latin figure so heavily in the vocabulary we use for science, medicine, technology, and law, this portion of English's stock of words has acquired a clinical and lifeless quality, whereas the words which English inherited from Anglo-Saxon have an earthier, common-man feel to them. It is also the case that the words rooted in Anglo-Saxon are more likely to be concrete, whereas the Greek- and Latin-derived words are more likely to be a kind of abstraction, meaning that the Anglo-Saxon is more likely to form a picture in our heads as we read them. Given the choice between something that builds a picture and something that does not, most of us would prefer the former. You need to be precise, clear and uncomplicated. When writing fiction, you want your text to have all the depths and layers you can add to it without forcing your reader to stop and think too much since that will end suspension of disbelief. Think reading trance. You want them to be in one if there's going to be any page turning during the early morning hours. I maintain the readers are there for an emotional experience, not an intellectual, SAT-prep-like one. But of course, it all comes down to target audience. What are your like? Who are you writing for? There are, on a spectrum, two extremes; Uncomplicated language, and complex characters, interactions, symbolism, etc. Or all that and complex language as well. Being able to read at a certain level is not the same as enjoying reading at that level. There is also the question of what method are you using to determine an appropriate level. Flesch-Kincaid and ATOS are the only methods I can find information on. The Accelerated Reading program in schools uses ATOS to determine what books are appropriate for readers of each grade level. 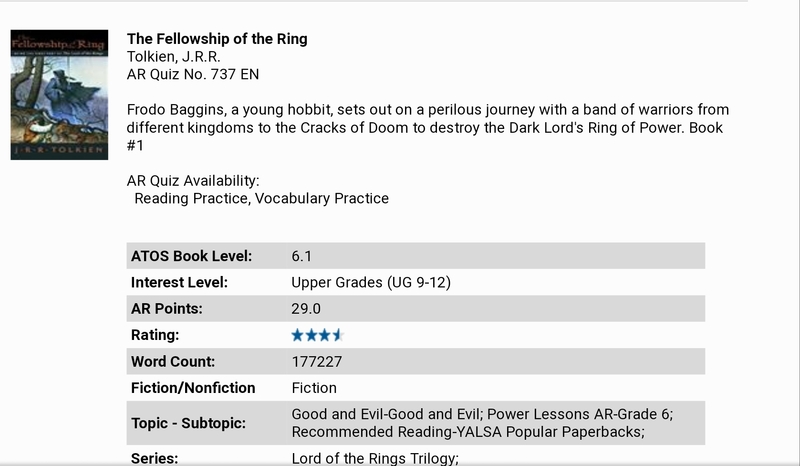 This link will allow you to search for the grade level of any book that has been reported to ATOS. https://www.arbookfind.com/default.aspx?client=HomeConnect I think you might find the results surprising. Also keep In mind that word length is only a small part of determining reading level. Sentence and paragraph length are also a factor. If your sentences are long the reading level will go up. Dialogue is broken in to short paragraphs, so reading level goes down. Precision does not need to be sacrificed for clarity. There nothing wrong with polysyllabic words, especially if they make your sentences less complex. However, if I have to do a lot of googling in order to understand what I'm reading, I'm going to switch back to something little more dumbed down. matildalee23 is a new contributor to this site. Take care in asking for clarification, commenting, and answering. Check out our Code of Conduct. Not the answer you're looking for? Browse other questions tagged creative-writing style word-choice prose or ask your own question. How do you avoid purple prose? What's the difference between purple prose and vividly descriptive writing? How can clarity and flow of long sentences be improved? What is better for prose: symmetry or simplicity? Ordinary writing or Prose: how to make it immersive?